My grandmother passed away a few months ago. She was 94 years old, and she was a very strong woman. After she passed away I drew this portrait of her and gave it to my mom as a present. My family is from Romania, and my grandmother was very religious. Every year my grandmother would give me a present on Saint Andrew’s day and Today is Saint Maria’s day, I’m posting this portrait drawing to honor her memory today. Teacher who has turned into an artist…. custom art, portraiture, drawings, design; I draw cars, I draw pets, I draw people. Accurate affordable drawings done by a professional artist! Summertime is right around the corner. “Summertime, and the living’s easy.” Although, I can’t be too lazy! I have a lot of commissions to wrap up and also, I landed a pretty interesting summer job. I’m going to be promoting “Art Instruction School.” It’s a pretty neat school. It offers a lot of unique classes. and it’s very personal, students work from home. A lot of famous artists went there. … one more week and my current job is over. … and my co-worker just bought me a burrito from the local mexican restaurant. Today is a very good day! I have been doing a lot of custom art lately. 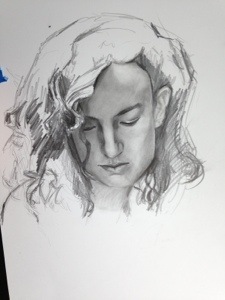 Many portraits and drawings are available on the website, but also on etsy, art galleries, and the downtown art walks. All of this exposure has kept me pretty busy. Which is an incredibly rewarding feeling. 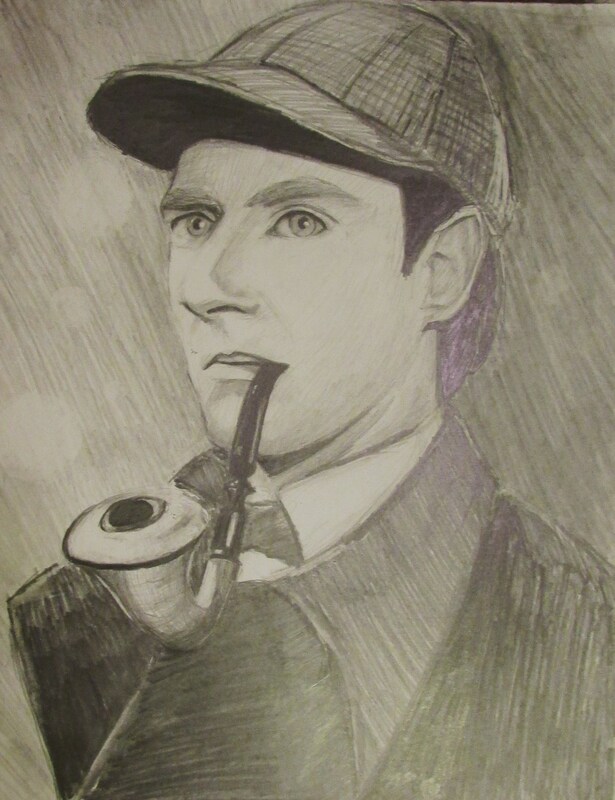 I did a custom drawing for my brother recently of Data from star trek dressed as Sherlock Holmes. He loved the drawing, I just asked him to let me hang on to it for another day or two while I touch it up. well, during the art walk last week….. This woman begged me to sell it. I told her that I wouldn’t. …I couldn’t…. …. …. But I did. I caved. She loved it so much, and it made me feel so good, how could I deny her the geeky satisfaction she would get from owning a drawing done of Data dressed as Sherlock. Okay, I have got to run. But I have so much more to say. I’ll be back. Just remember I do lot’s of custom drawings, portrait art, and many more styles. 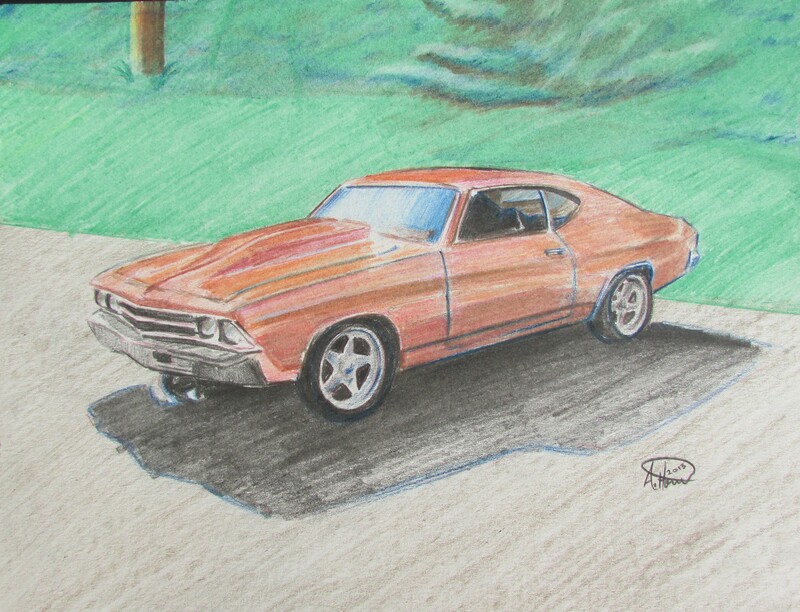 custom art, portraiture, drawings, design; I draw cars, I draw pets, I draw people. Accurate affordable drawings done by a professional artist! But for now enjoy this drawing of data~! MESA art walk tonight. wedding portraits, drawings and custom art. I’ve been working on some fan art lately that has brought back some good memories. I really miss gaming all the time, reading graphic novels, and being part of that community. Some of the games and comics get a little cheesy sometimes. I just got on youtube and browsed some old games and music. It made me feel very nastalgic. it gave me goosebumps and made me feel empowered. music from musicians like Apocolyptica and two steps from hell, ignore the name, because the music is very classical sounding. It’s a very specific genre and style that I really miss. …What happened to me! Somehow it’s about 10 years later, and now I’m a responsible adult and parent. HOW BORING. heh, all kidding aside, I love my family and the life I have created. It’s been exhausting but also very rewarding. Now, I have more time on my hands. My kids have school and homework and lots of activities that keep them busy and productive. So, I have been pursuing my art as a career. It has been a blast, and I have been spending a lot more time in the comic book stores, working on computers, playing games and feeling like my young nerdy self again. what a blast!